Abstract: This article is about integrating culture into foreign language teaching and some reasons, some approaches to teaching culture. Key phrases: Sociocultural norms, assumptions, a “facts only” approach, a frame of reference, a culture capsule, culture clusters, intercultural connections, culture assimilations, culture mini-dramas, strategies, techniques. Summary: This article poses the question: Why are children facile language learners? Examined in the light of Lenneberg’s theory, children’s facility with language can be explained as stemming from children’s genetic predisposition for language learning. Key words: Language learning, theoretical, psycholinguists, behavior, language acquisition. Rakhimova T.Adilov B.A.Rakhimova N. K.
Summary: On the base of ontogeny it was revealed the structure of 7 cenotic populations of Stipa aktauensis Roshev, which is growing on remote mountains of Kuldzhuktau, Auminzatau, Muruntau, Tamdytau, Aktau (Kyzylkum desert). All investigated coenopopulations are normal, but most of them are not complete. The ontogenetic structure studied coenopopulation (CP) of Stipa aktauensis are different: varied: they were central (CP 1, 5 and 7), left-side (CP 3, 4 and 6) and the right-side (CP 2). Keywords: coenopopulation, ontogenetic structure, remote mountains. Rakhimov A. D.Mirakhmedov F. Sh.Mamatkodirov J. B.Hatamova N. N.Urinova S.
Summary: Agrotechnics cotton varies depending on weather conditions, soil types and their structure. A rational system of farming during the development of cotton as established, but some of its elements continues to attract the attention of both scientists and practitioners. Key words: cotton, hundredweight, hectare, crop, seeds, sowing, harvesting, watering, soil, fiber. Summary: The theoretical aspects of profitable enterprises and ways to increase. Key words: profit, backlogs, enterprise, business activities. Voronkova T. E.Rybalchenko K. V.
Summary: The theoretical aspects of psychology of risk in business. Key words: risk, psychology, business activities. Scherban Tatiana Demyan Y. Y.
Annotation. The purpose of this article is to investigate the issue of psychological peculiarities of pedagogical interaction. The article presents the results of empirical study of life prospects for youth, which are influenced by anxiety, reflexivity, self-concept and value orientations. Key words: life prospects, value orientations, self-concept, reflexivity. Scherban Tatiana Berezovska L. I.Bizhko N. B.
Annotation. The purpose of this article is to investigate the issue of psychological peculiarities of pedagogical interaction. The article presents the results of empirical investigation of the personality traits connected with the peculiarities of self-identification as well as interaction in pedagogical process. Key words: pedagogical interaction, value orientations, school anxiety, professional burnout. Abstract: The authors researched the phases of Ukrainian economy’s shadowization. The level of Ukraine’s shadow economy has been analyzed. The most «shadowed» sectors of Ukraine’s economy have been show. The main terms of the Ukrainian economy’s de-shadowization have been defined. Key words: shadow economy, shadowization phases, Ukrainian economy, shadow sector, shadow economy proportion. Burov A. N.Drozdov S. M.
Аннотация: Значение инвестиций в формирование и развитие человеческого капитала как ключевого ресурса экономики, общественного развития только усиливается на фоне роста зависимости бизнеса, конкурентоспособности от качества привлекаемого человеческого интеллектуального капитала. Какие экономические и социальные результаты получают и с какой целью основные участники таких инвестиций – важный вопрос, позволяющий определять причины успешного или недостаточного взаимодействия государства, бизнеса и самого человека, и давать рекомендации по оптимизации инвестиций и стратегии по их вложениям в масштабах региона. Ключевые слова: человеческий капитал, интеллектуальный капитал, экономический эффект, социальный эффект, инвестиционная стратегия. Khamraeva G. I.Bafoeva S. I. Summary: This article deals with the importance and benefits of using communicative games in teaching foreign languages to young learners. Key words: young learners, short attention spans, communicative techniques, competitive games, cooperative games, linguistic games, communicative games, a non-threatening way, skills of initiative, problem-solving, self-awareness, working cooperatively in teams. Summary: The approach to the solving the problem of asynchronism between the natural-science and bible chronology is planned, using the model of multicomponent time. Key words: multicomponent time, hierarchy of organisms, chronology, asynchronism. Summary: The author opens an essence of the concepts in the context of the all-educational purposes of the principles of teaching English as a Foreign Language. It is also given classroom implications in this article. Key words: Communicative competence; principle; conscious approach; automaticity; meaningful learning; anticipation of reward; intrinsic motivation. Summary. The global process of globalization and integration of cultures surely shows its own influence to the cultures of all countries and to the literatures. The main position of national literature in this process is to protect its image and national belonging. In this process we trust in our talents which have worthy, unique, higher creativity potential, to take a place in our rich literary heritage and millennial literature legacy in modern period. Key words: globalization, integration, national literature, literary process. 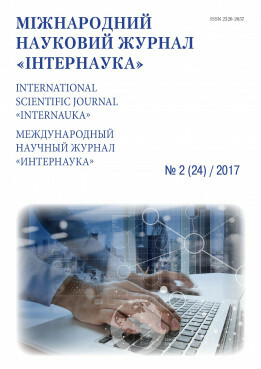 Makhmadiyev B. S.Ochilov M. A.
Sazhin V. B.Sazhin B. S.
Summary: The theory and practice of non-stationary thermal regime of the regular methods for the determination of thermal characteristics of particulate materials to be dried. The conditions for the rational use of such methods. Key words: heat capacity, thermal conductivity, thermal diffusivity, drying.